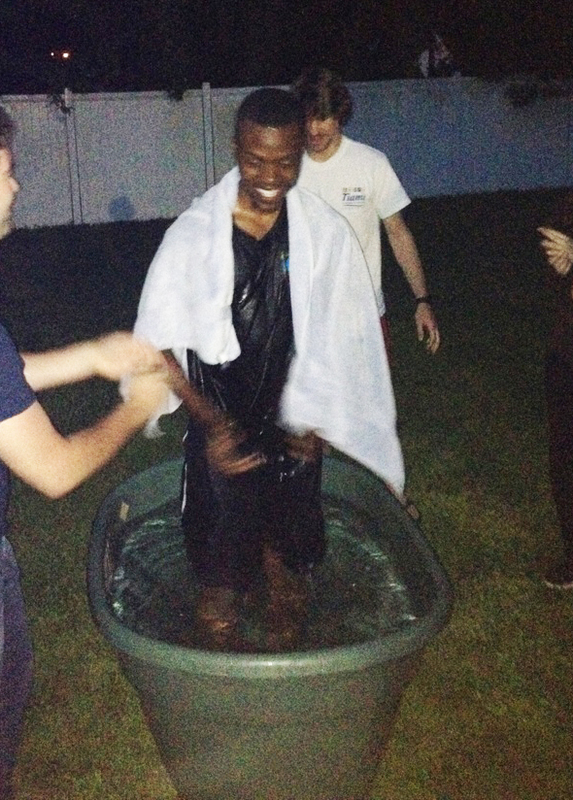 Monday night, Brandon Jones out of ODU got baptized! Even as students are fully engaged in exam week, ODU students came out to welcome Brandon into the family. At his baptism, scriptures such as Luke 18:29-30 and Ephesians 6:10-20 were shared to encourage our new brother as he begins his new life in Christ. Once again God is so faithful, even during exam week! Congratulations Brandon and welcome to the family!